Ellisfield Memorial Hall – Committee Members Needed! We currently have two members who are standing down from the Memorial Hall Committee at the AGM planned for Tuesday 14 May 2019. These members have contributed vastly to the running of the hall over a number of years and for that we are extremely grateful. So it’s time to look for some new committee members. The tasks are not particularly onerous and we only meet 3 or 4 times a year. We want to work as a team so that no one member has too much to do. The current committee members are: Bernard Cazenove, Susie Deane, Meg Freeman, Tracey Gilvear, Rev Stephen Mourant, Ray Reed (Chairman), Ali Swanston, Rose Taplin, Joanne Thomas and Phil Self. Would you be willing to join the committee and help to ensure that Ellisfield continues to benefit from a hall that the whole community can enjoy? If so please contact: Ray Reed 381613 (rtr@btinternet.com) or Ali Swanston 381171 (aaswanston@gmail.com). Or alternatively come along to our AGM on 14 May to find out more. This entry was posted in Adverts, Memorial Hall, Uncategorised on 27th February 2019 by Clerk. 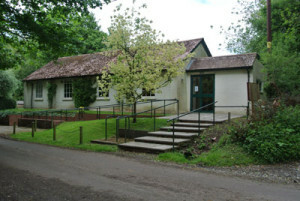 The AGM is open to all Ellisfield residents who may, if they wish, ask questions and make suggestions in regards to the running of the Hall and the organising of village events. This entry was posted in Adverts, Memorial Hall on 26th February 2019 by Clerk. This entry was posted in Adverts, Memorial Hall on 21st May 2018 by charlie. This entry was posted in Adverts, Memorial Hall on 30th March 2018 by charlie.